In response to the tragic fire at Notre Dame Cathedral in Paris, the Mass will be a Votive Mass of Our Lady in thanksgiving for its preservation. A collection will be taken up to help fund the restoration of this priceless work of art and the sacred objects it contains. All proceeds will be donated to the Friends of Notre Dame de Paris. If you cannot attend the Mass in person, but would like to join us in spirit, you may mail us a check, or you may donate via Paypal before May 13. Choral music will include Guillaume de Machaut’s Messe de Nostre Dame, the earliest complete polyphonic setting of the Mass Ordinary. It was composed for the Cathedral of Notre Dame, the birthplace of polyphony. Organ music will include compositions by Louis Vierne, organist of Notre Dame from 1900-1937. The celebrant will be Fr. Sebastian White, O.P., Editor-in-Chief of Magnificat. The homilist will be Fr. 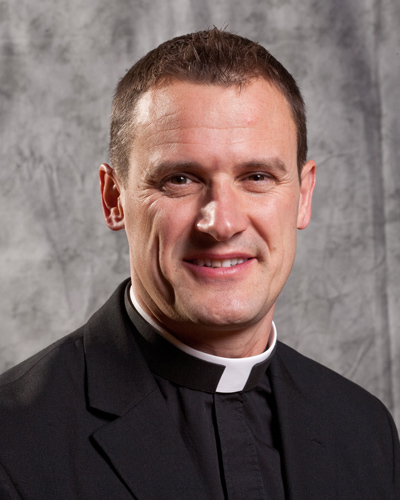 Darren Pierre, O.P., Prior of Saint Vincent Ferrer and Vicar Provincial. 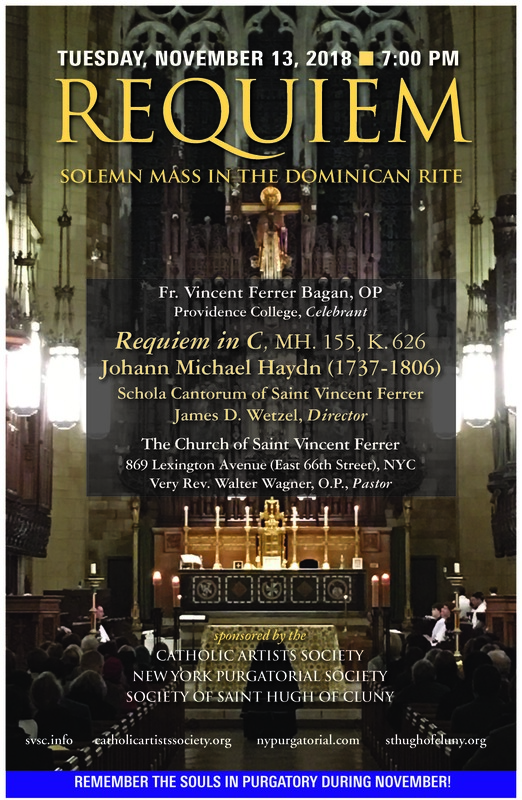 The Schola Cantorum of Saint Vincent Ferrer, directed by James D. Wetzel, will provide the music. Completed in 1918 by renowned American architect Bertram Grosvenor Goodhue, the Church of St. Vincent Ferrer is one of the best examples in America of French Gothic-style architecture. Bring a friend. Pray for Notre Dame at Mass. And toast her future health at the reception afterwards! Our final lecture of the season! Saturday, April 13 at 7:30 PM, Fr. 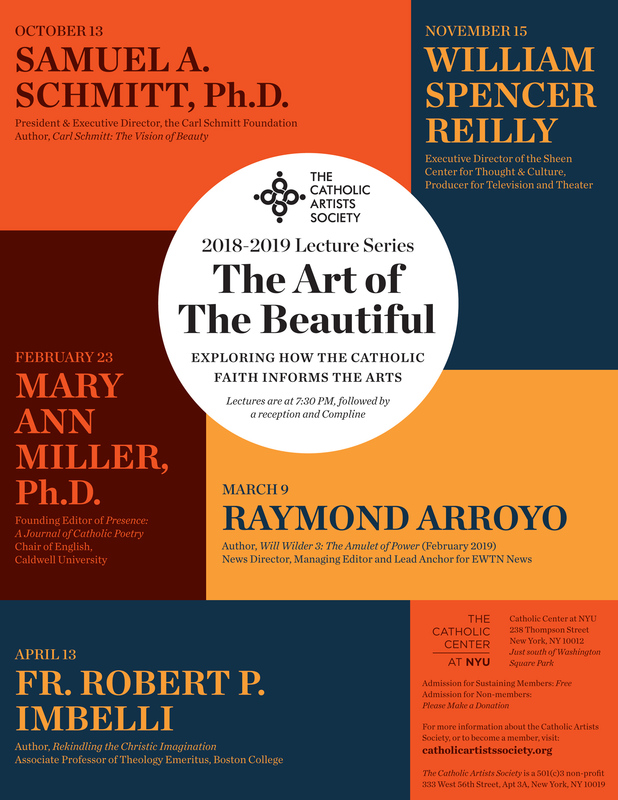 Robert P. Imbelli, Associate Professor Emeritus of Theology at Boston College and author of Rekindling the Christic Imagination, presents “The Catholic Artist as Custodian of Real Presence.” The lecture will be followed by a reception. The event takes place at the Catholic Center at New York University (238 Thompson St., just south of Washington Square Park). At 9:15 PM, after the reception, join us for Compline in the chapel. RSVP by clicking here. Reservations will be kept until 7:20 PM. One way to speak of the “darkness” that afflicts many is that of the absence of final meaning and thus of ultimate hope. The artist illuminates the darkness by offering signals of transcendence, intimations of presence and purpose, that nourish and sustain. For the Catholic artist these “hints and guesses” (T.S. Eliot) find their foundation in the real presence of Jesus Christ in the Eucharist who calls believers to embrace a Eucharistic way of life. The Catholic artist whose imagination is kindled by the real presence of Christ is called, like Gerard Manley Hopkins, to be an advocate and custodian of real and transfiguring presence in the world. Fr. 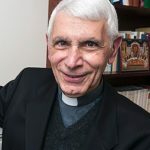 Robert P. Imbelli, a priest of the Archdiocese of New York, studied in Rome during the years of the Second Vatican Council and was ordained there in 1965. He received his S.T.L. from the Gregorian University (Rome) and obtained his Ph.D. in Systematic Theology from Yale University in 1972. He has taught theology at the New York Archdiocesan Seminary and at the Maryknoll School of Theology; and has been visiting lecturer at Princeton Theological Seminary and Fordham University. From 1986 to 2015 Father Imbelli taught Systematic Theology at Boston College, and is currently Associate Professor of Theology Emeritus. He was “Visiting Scholar” at Seton Hall University in Spring 2017 and at St. Joseph’s Seminary, Dunwoodie, in Spring 2018. His numerous articles and reviews have appeared in such journals as Theological Studies, Communio, Worship, First Things, Commonweal, and America. Father Imbelli contributed the article on “Holy Spirit” to The New Dictionary of Theology, wrote the “Foreword” to Cardinal Avery Dulles, Church and Society (Fordham: 2008), and edited the volume, Handing on the Faith: the Church’s Mission and Challenge (2nd printing: Crossroad: 2017). The evening will include opportunity for confession, Eucharistic Adoration, and Benediction. A reception will follow. The suggested donation is $10. Fr. Patrick Hough, S.J. is a Jesuit priest currently assigned at Regis High School in New York City. A native of the U.K., Fr. 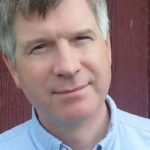 Hough has lived in England, Australia, Italy and, since 2002, in the United States. He has graduate degrees from Leeds University, the Gregorian University in Rome, Fordham University, and the Jesuit School of Theology in Berkeley, California. Fr. Hough has been a consummate traveler all of his life and has worked in various Jesuit High Schools around the world, teaching history, theology, and music. In 2011 he was asked by National Geographic to be the presenter of a major documentary that investigated the authenticity of the Crown of Thorns. He enjoys rowing and has coached extensively. Fr. Hough is a pianist, organist, and conductor, and has performed at the Kennedy Center in Washington, D.C. and the Barbican in London. 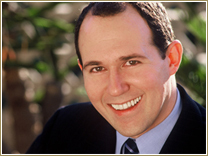 On Saturday, March 9, at 7:30 PM, bestselling author, journalist, and television producer Raymond Arroyo presents a lecture entitled “The Power of Stories.” It will be followed by a book signing of his new book Will Wilder 3: The Amulet of Power. The event takes place at the Catholic Center at New York University (238 Thompson St., just south of Washington Square Park). After the reception, join us for Compline in the chapel. 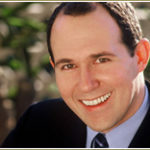 Raymond Arroyo is an internationally known, award-winning journalist, producer, and New York Times Bestselling author. 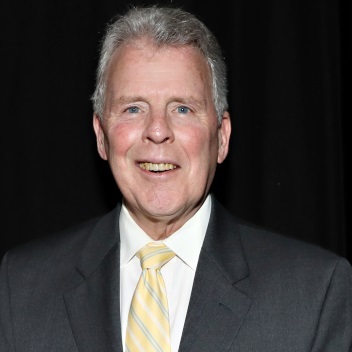 As founding News Director, Managing Editor and Lead Anchor for EWTN News, he is seen in more than 350 million homes on six continents each week and heard on more than 500 AM/FM affiliates and a stand alone Sirius channel throughout the US. Mr. Arroyo established EWTN News and The World Over Live in 1996, which he hosts from Washington DC each week. Known for his penetrating interviews, Mr. Arroyo has interrogated the leading figures of the day. Highlights include: The first exclusive, sit down interview with Mel Gibson about his film, “The Passion of the Christ”; Mother Teresa of Calcutta; Placido Domingo; Presidents George W. Bush and Donald Trump, a groundbreaking interview with comic legend, Jerry Lewis, and the first and only English interview with Pope Benedict XVI. Mr. Arroyo has anchored coverage of more live papal events than anyone in the industry– including the passing of Pope John Paul the Second, as well as the election and major international travels of Pope Benedict. During the Conclave of 2013, Arroyo served as a CNN Contributor and was part of the team that covered Pope Francis’ first appearance, live. Before coming to EWTN, Mr. Arroyo worked for the Associated Press, The New York Observer and the political columnist team of Evans and Novak. Mr. Arroyo is a graduate of New York University’s Tisch School of the Arts where he studied with some of the finest acting instructors in the world, among them: Stella Adler, Bobby Lewis, Uta Hagen, and Beatrice Straight. He has acted and directed in New York and London. In addition to his work at EWTN, Mr. Arroyo has appeared on The Today Show, Good Morning America, CNN Headline News, Access Hollywood, The O’Reilly Factor, Erin Burnett Outfront, and the Laura Ingraham Show. His work has appeared in the Wall Street Journal, The Financial Times, Newsweek, Time Magazine, The New Yorker, and elsewhere. Mr. Arroyo is producer and host of the PBS musical special, “Christmastime in New Orleans” featuring Wendell Pierce, Jim Caviezel and the city’s great chefs. He is also producer of the bestselling, all star, audio bibles, “The Word of Promise” (Thomas Nelson) and “The Truth and Life Audio Bible” (Zondervan) as well as a Billboard Chart topping PBS Christmas special and CD “The Birth of Christ” hosted by Liam Neeson (Sony Classics). Five of his adult books, including his biography of Mother Angelica, were all New York Times Bestsellers. His Will Wilder series for young readers is a multi-book collection. “Will Wilder 3: The Amulet of Power” (Random House) published in February of 2019. In 2015, Mr. Arroyo founded Storyented.com, a literacy initiative to inspire reading by connecting the world’s great authors and their readers. He resides in Northern Virginia with his wife Rebecca and their three children. 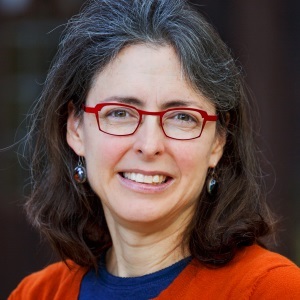 On Saturday, Feb. 23, Dr. Mary Ann Miller presents “Contemporary Catholic Poetry: Imagination Formed by Faith.” The lecture takes place Saturday, February 23, 7:30 PM, at the Catholic Center at New York University (238 Thompson St., just south of Washington Square Park). A reception and sung Compline will follow. If the words “contemporary” and “Catholic” anywhere in proximity to the word “poetry” raise your eyebrows in alarm at thoughts of inaccessibility, little artistic merit or dubious faith, you may find yourself pleasantly surprised. 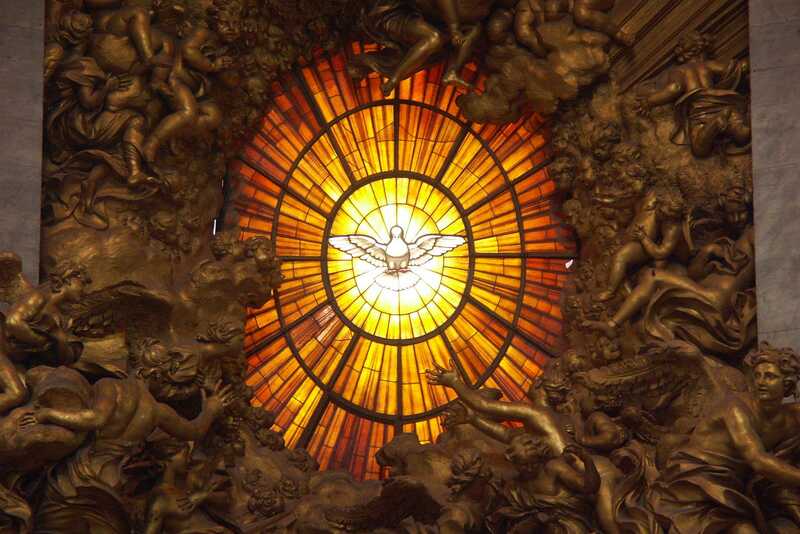 A growing number of poets are responding to current efforts to bring to the public eye new poems of high artistic quality that are wholly “of our time” and yet situated firmly within the continuum of the rich artistic heritage of the Catholic faith. Please join Dr. Mary Ann B. Miller to read and examine a selection of poems recently published in the first two issues (or forthcoming in the third issue) of Presence: A Journal of Catholic Poetry. Miller will discuss how the imaginations of these poets are shaped by, even as they often grapple with, a variety of tenets of the faith, such as God’s personal relationship with us both as “Father” and “lover” and our corresponding identities as God’s children and spouse, God’s grace working through natural means, the importance of our self-examination of conscience, the intercession of the saints, and our participation in a continued relationship between the living and the dead. Dr. Mary Ann B. Miller is professor and chair of English at Caldwell University in Caldwell, NJ, a Catholic institution in the Dominican tradition. She is editor of St. Peter’s B-list: Contemporary Poems Inspired by the Saints (Ave Maria Press, 2014), a collection of over 100 poems, written by 70 poets from across the USA, and founding editor of Presence: A Journal of Catholic Poetry, an international annual print publication, in its third year of production. Visit www.catholicpoetryjournal.com. Miller works to publicize the work of Presence authors by exhibiting the journal at a variety of national conferences, including the annual conference of the Association of Writers and Writing Programs (AWP) and the biannual conferences on The Future of the Catholic Literary Imagination, sponsored first in 2015 by the Institute for Advanced Catholic Studies at the University of Southern California, Los Angeles, and second in 2017 by the Curran Center for American Catholic Studies at Fordham University, as well as the first conference devoted to “Trying to Say ‘God’,” held at the University of Notre Dame in summer 2017. Other venues have included the biannual Festival of Faith and Writing at Calvin College in Grand Rapids, Michigan, in March 2018. She frequently teaches an Introduction to Poetry course, in which she offers her students the opportunity to host public readings for local, published poets. She also teaches a Catholic writers (of literature) course, as well as Victorian, modern, and contemporary poetry. She received her Ph.D. in English Literature from The Catholic University of America in Washington, DC, and her M.A. from the University of Dallas in Irving, Texas. On Thursday, November 15, Mr. William Spencer Reilly, Executive Director of the Sheen Center for Thought and Culture presents “Timothy Leary’s Dead – Turn Off, Tune Out, and Drop In.” He will discuss how the arts–in particular, telling good stories well–can be a way to evangelize and rebuild Catholic community. The lecture takes place Thursday (not Saturday! ), November 15, 7:30 PM, at the Catholic Center at New York University (238 Thompson St., just south of Washington Square Park). A reception and sung Compline will follow. 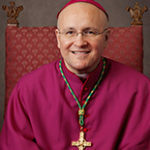 William Spencer Reilly is the Executive Director of the Archbishop Fulton J. Sheen Center for Thought & Culture, a project of the Archdiocese of New York. He has led this new performing arts center from pre-opening, through its gala inaugural celebrations, and now through its first three seasons of theater, talk, film, music, opera, and dance. In less than three years, The Sheen Center has presented more than 150 shows ranging from one-night talks and concerts to longer running theater productions. Reilly has worked for other Catholic organizations previously, as Executive Producer of The Christopher Awards’ Golden Jubilee Celebration; and Executive Director of Fordham University’s Sesquicentennial Celebration, a year-long series of events, the longest and largest celebration in the history of the university. Reilly also founded the annual Sober St. Patrick’s Day® event with a mission to reclaim the true spirit of the day. Prior to joining The Sheen Center, Reilly spent 12 years at Odyssey Networks, ending his tenure as the Executive Vice President, Creative Strategies, Production & Partnerships. During his tenure, Reilly was responsible for producing more than 1,000 hours of television, which garnered 30 major awards. He built partnerships with a variety of international broadcasters, expanding the network’s footprint, streamlining production costs, and boosting revenue. He served as President and CEO of Lightworks Pictures, an Odyssey Network subsidiary, where four of his films were among the highest-rated movies in the history of the Hallmark Channel. Reilly cut his teeth as the CEO of Sea Lion Productions, Inc., which produced the highest rated outdoor sports program on ESPN. Earlier in his career, Reilly was the founding Executive Director of BMCC-CUNY’s TriBeCa Performing Arts Center and Program Director for The American Theatre Wing (founders of the TONY Awards), where he created the long-running and popular cable TV series, “Working in the Theatre,” which became the longest running cable TV show in New York City at 38 years. The lecture takes place Saturday, October 13, 7:30 PM, at the Catholic Center at New York University (238 Thompson St., just south of Washington Square Park). A reception and sung Compline will follow. The vision of American artist Carl Schmitt (1889-1989) embraced the breadth of the Catholic tradition in its mystical, sacramental, historical, and ascetical dimensions, relating these to the seven fine arts and to the life of the artist himself. Rather than vehicles of self-expression or moral instruction, he saw the fine arts as an image of reality in its fullness, which reality is itself an image of the Triune God. As a young man, Schmitt foresaw the arduous journey he would have to make to realize this vision in his own vocation as an artist. 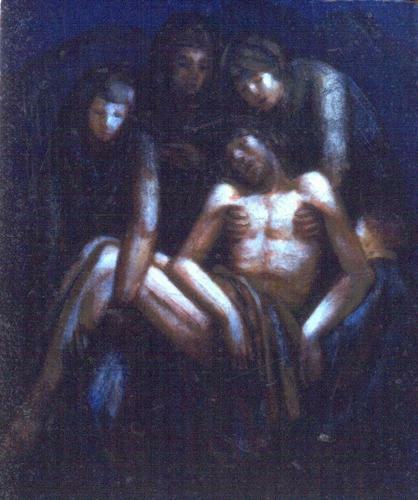 Drawing on the evangelical counsels, his life and his art took a threefold path through what he called the mystical virtues of purity, poverty, and humility, corresponding to the lyric, epic, and dramatic stages of artistic development. The fruit of this journey was a clear vision of things seen in the masterworks of his maturity. Samuel A. Schmitt is Executive Director of the Carl Schmitt Foundation which seeks to further the legacy of his grandfather, the early Silvermine artist CarlSchmitt. He is the author of Carl Schmitt: The Vision of Beauty. 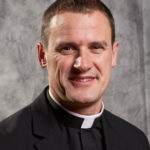 He holds a doctorate in music history from the Catholic University of America and presently serves as Director of Sacred Music and Organist at the Cathedral of St. Augustine in Bridgeport. He lives in Connecticut with his wife and six young children. Post it in a friendly place.